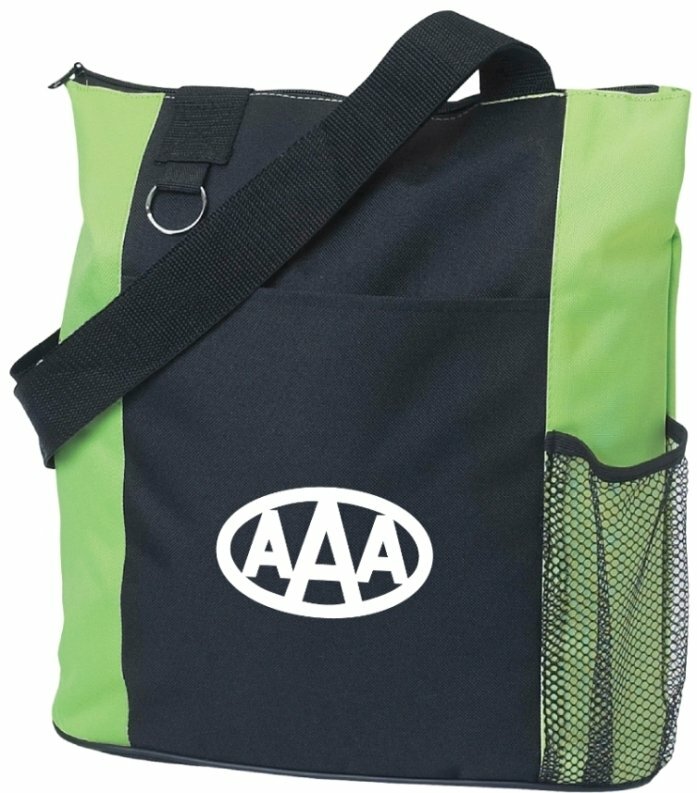 The fun begins when the price is low and the quality is high for a promotional tote bag with logo. compartment, 26" web handles, front pocket, side mesh pocket & a key ring. Overall size of the Fun Tote Bag is 14" w x 14" h x 5" deep. Price includes a one color imprint on front in area 4" w x 5" h.
$2.50 to the unit cost below for the quantity ordered.